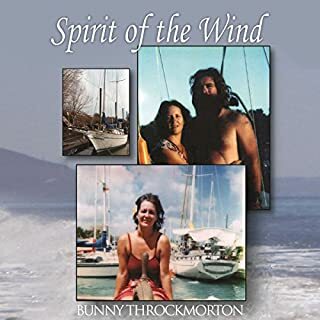 Crashing within the first 24 hours, Jackie realized life would never be the same again: a floating home with no fridge or hot water, and with a dinghy instead of a car. Suffering self-doubts, she became fearful of her new world. The first off-shore voyage took Jackie into a ferocious storm, which battered her physically and mentally. Amid the raging seas, Jackie shed the fear she'd been harboring. 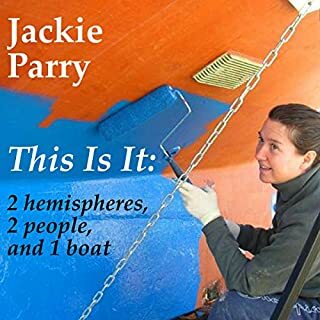 Not only did Jackie deal successfully with the challenges of her new existence, she also battled with the testosterone-fueled nautical world to become both a professional captain and a qualified maritime teacher. first if all I must say this is my first audio book experience. I love to read and was not sure I would like this model. I am very pleasantly surprised to find that I love being read to! Jackie really can write a fascinating story which happens to be her own. She peels back the layers and tells her readers about her most vulnerable times. She is amazing how she leaped from the 9 to 5 corporate world and embraced and learned her new life style. Her descriptions of visiting foreign countries by Sea, encountering wildlife, making new friends, and growing to trust herself make this book a great read. I am almost finished with this book and am sad that this journey is ending! Of Foreign Build has successfully taken my mind off of the frustration and boredom of Los Angeles traffic on my daily commute. I've been content to sit and listen while Jackie takes me on this great adventure. Jackie's writing style is very personal, honest and I have a sense of being on board with her and her husband Noel. It's packed with wonderful, heartfelt and often funny tales of their trips around the world. I highly recommend this book, especially if you enjoy traveling. You will be inspired. 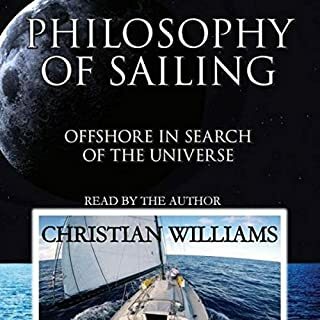 Story encouraged two amateurs like us to pursue our dream of sailing. Great performance by narrator. Loved her British wit. I thought I would habituate to the tone and cadence of her voice, but nope, still just as awful. It is unfortunate because the story is interesting. I greatly enjoyed the story and the narrator is clearly quite talented. She was just a bit much for a travel narrative. I felt like she was on the verge of tears the entire time, as if she had just witnessed an animal hit by a car. I yelled at my radio on numerous occasions to just stop. painful, but the story is worth it. what may have been an otherwise really good story was kind of screwed up this narrator she alternate Lee made me want to cry and then commit suicide overdrew overly dramatic not a good reading. I couldn't wait for the story to end. Very detailed, entertaining, and inspirational. I hated the narrator. She was always either whispy and meloncholy, or shirl and yelling. one of the worst narrators I've heard. It's a pity, because it nearly ruined a good book. Story was amazing. The performance was so bad that I will check every audio book from here on to make sure it's not Michelle MICHAELs reading it. Seriously-- does anyone check production quality? What would have made Of Foreign Build better? 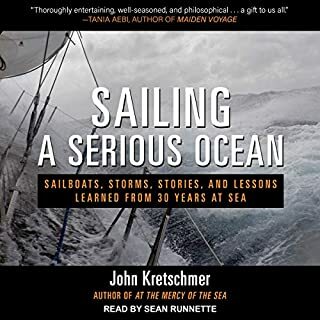 Get a narrator who knows how to pronounce names, places, and boat parts. She was very distracting. I wish I would have bought the print version. I have a print version of another of the author's books. I like her content, even on this book, but the narration was so bad I would never buy another book narrated by her. I can't believe that if the author listened to it, she didn't demand it be read again by someone else. Also, when she tried to add expression, it sounded like she was crying. I liked most of the story. If I had it to do over, I would buy the hard copy. Would you be willing to try another one of Michelle Michaels’s performances? If you could play editor, what scene or scenes would you have cut from Of Foreign Build? None on the content. 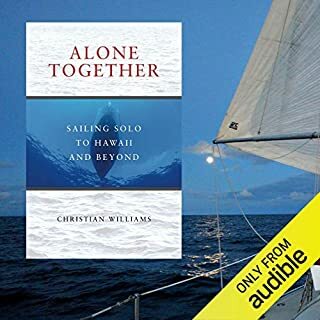 The whole book in the audio edition. Don't use this narrator any more. This is a professional, not a high school kid with a hobby (I think). I liked the story but the narration was difficult as the reader had an awkward cadence to her reading and strange way of expressing the emotion in the story. It was challenging to listen to but the content pushed me to continue listening. 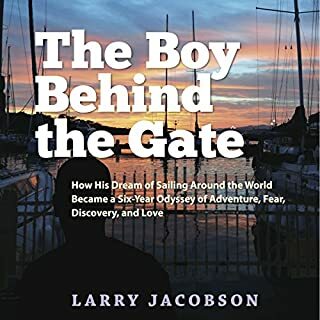 Great story, some great adventures over the globe. Overall an enjoyable tale if you get past the very strange narration, which can be very irritating. The narrator ruined this book for us. The reading style, voices and knowledge of pronunciation of both nautical terms and even the English language was appalling. Just wish Jackie had read the book herself. Maybe it could be re-recorded and we could listen again, without constant irritation. A trial to listen to! An at best average book of mild interest. She is definitely a glass half full type of person, suffering from insecurity and lack of confidence. The narration probably doesn't help. It is worse than dreadful! The woman can't read one complete sentence without breaking it down into machine gun like blocks of four or five words. Ratatattat, Ratatattat. Sped up to 1.25x it almost sounds like a complete sentence. There is some duplication too. I can't recommend this book. The content is disappointingly uninspiring and the narration will test your patience to the extreme. Would you consider the audio edition of Of Foreign Build to be better than the print version? I love listening to stories, I can keep doing things with my hands while listening where as I can't if I am reading it. I can crochet, stare at the ceiling and visualize what is being told. I liked the tones in her voice. Very easy to listen to her. A little bit of both. I'm not sure I could give up everything and go be a sea gypsies woman. I would love to be at sea for a while but not for life. Really enjoyed the story, however, the narration by Michelle Micheal's was nothing short of woeful and down right annoying at best and infuriating at worst.